Book of the Month Club October 2015 Review + 45% Off Coupon! 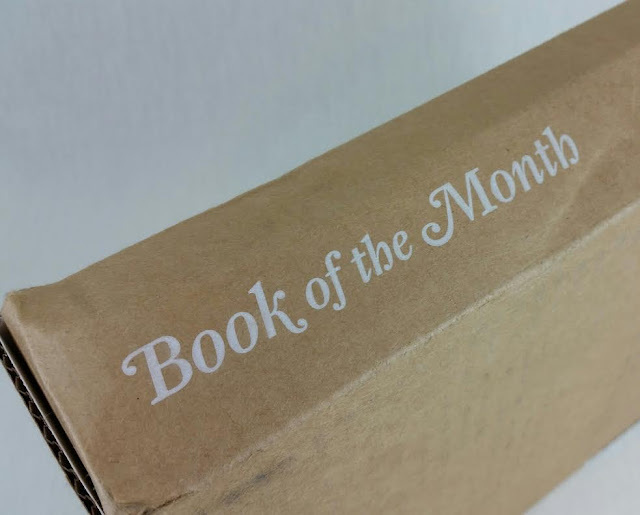 The Book of the Month Club is a bare bones book subscription. Each month you'll receive a hardcover book of your choice from a list of five selections. Since this is my first month, I'm not sure if there are always five choices or not but for me, there was. 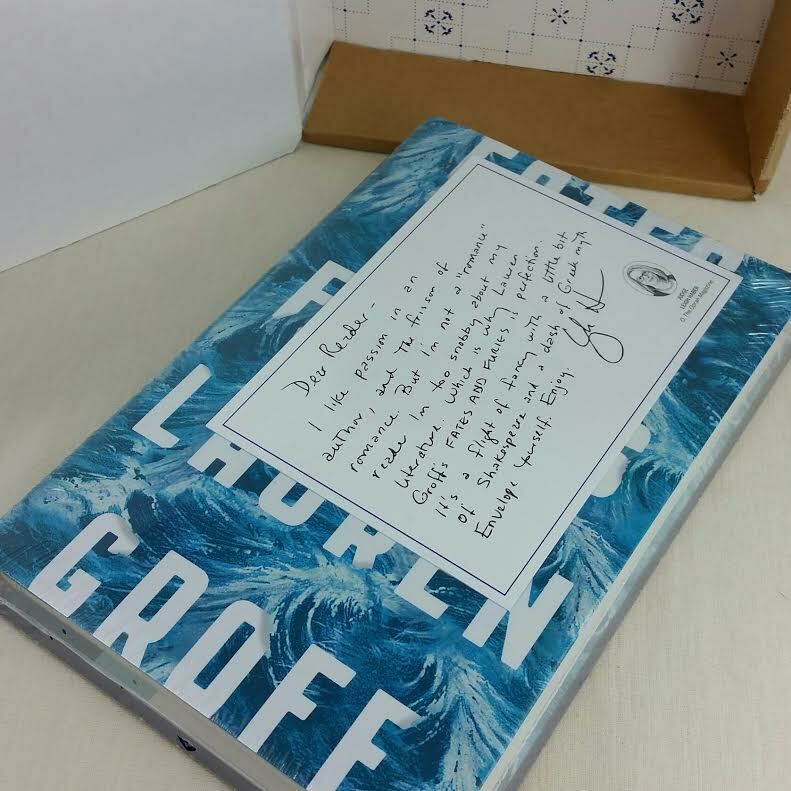 This one arrived with a note from the "judge" who chose the book and a cardboard bookmark with a quote on it. The process is different than I was expecting. I didn't realize when I signed up that I would get a choice. I love that part! It's nice having options. You can also add books from their shop to your shipment, as well. 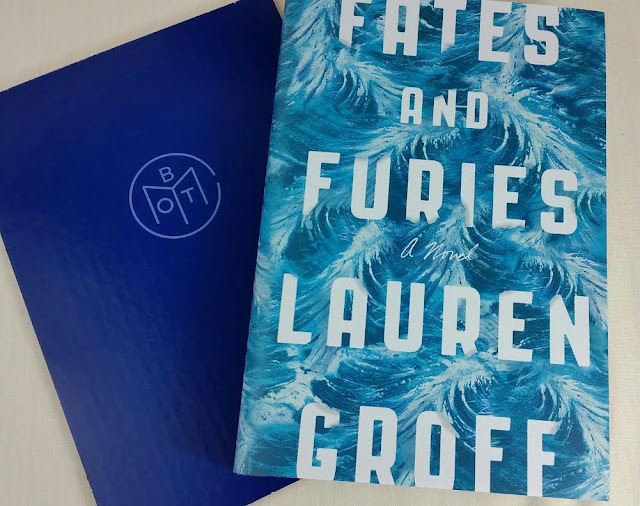 I chose the book Fates and Furies by Lauren Groff. I wasn't particularly enthused by any of the selections but that's only because there was nothing relating to dragons, magic and/or elves. However, I don't only read that stuff and both Fates and Furies and Gold Fame Citrus intrigued me. And that's the purpose of Book of the Month Club! I haven't had a chance to dig in to my new book and read it yet because I have some books I need to read before they become overdue at the library. I think I have eight to read in the next 14 days. I can do it! 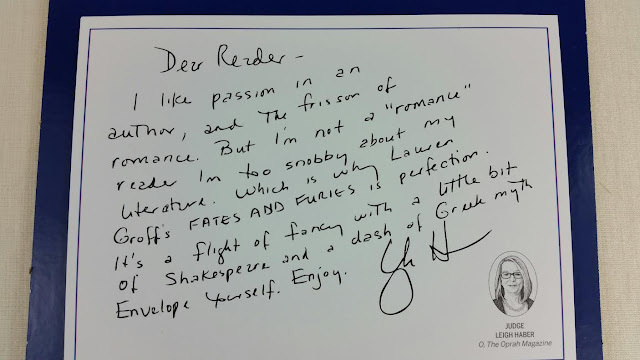 Here's the note from the Judge who picked the book this month. Her name is Leigh Haber and she is from the Oprah magazine. I totally agree with her about the "romance" thing but I'm not snobby about my books. In my opinion books are nothing to be snobby about. We all have our tastes and reasons we read and they vary so widely that it's just too much work to be snooty about. While I'm not exactly a bibliophile (I don't really collect books-anymore), I definitely appreciate a gorgeous cover, the new book smell and the satisfaction of filling up another shelf in the bookcase. And I love to read. Love. It's the one thing I've loved to do without ceasing my entire life. 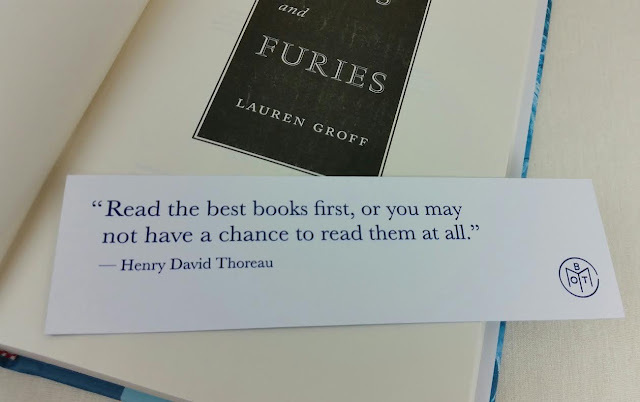 I plan to read all the books that I consider the best forever. I'm pretty sure I'll never run out of them. I haven't yet, anyway. VERDICT: I signed up for three months of this service and so far I'm quite happy with it. I think it's fun to get out of my bookish comfort zones, get lost in new writing styles and stories and just generally think about a whole new set of life situations. I know I've been reading too much when I find myself spending time figuring out all the protaganists problems when I'm driving or doing a mindless task. I just started reading Divergent. Hooked. I also read a really good YA yesterday called Darkness Before Dawn. It's a vampire book which I'm normally not into but it's fun reading. I'll finish Divergent today and then I've got Prodigy to read as well. Then Court of Fives by Kate Elliot (I love her writing! ), Alliance by Mark Frost, the Starcrossed series by Josephine Angelini, Silver Eve (a sequel I've been waiting for) and then I want to re-read the Throne of Glass series by Sarah J. Maas in preparation for Queen of Shadows. SO MUCH GOOD STUFF! I need more time in my day. For sure. If you want to sign up for Book of the Month Club, you can do that right here. Use code BOTM15 to get 45% off a 3 month subscription! That's better than the deal I found and makes your books $6.99 each. It's nice to see that even at a month to month price, they're competitive with Amazon hardbound pricing. With a 3-month subscription and that coupon code, you'll be saving quite a bit. What do you think of Book of the Month Club? Have you read Fates and Furies? What did you think? I love Divergent!! Also, there are apparently a lot of books titled "Darkness Before Dawn" but I think only 1 is about vampires… I love vampires so just added it to my "to-read" list! Prodigy as in Legend # 2 or Prodigy by Edward Mullen? (I've read the first - really good! And now I want to read the latter… LOL). I can't wait for Queen of Shadows!!!!! Currently reading The Wrath & The Dawn - I'm about halfway through and it's pretty good so far. Yeah, I gotta read fast! I don't know why they all went off my hold list at the same time. And I *have* to read them or I'll have to get back in the hold line! Darkness before Dawn by J.A. London. I'm loving them. Prodigy as in Legend #2 and I don't know if I'm going to have time to reread the series because Queen of Shadows is screaming at me from my Kindle Book List. :D And The Wrath and the Dawn looks just my style! I put it on hold. :D Thanks for that! I am start off with 1 month subscription plan first. What if i don't like the book after i receive ? Do they take it back and offer a new book? You will get to choose your book so you know which one you will get. They do not take returns so if you don't like it, you can give it to a friend. I think they are working on a "Skip" option so you can skip a month if you don't think you will like any of the books. I think you will receive an email on the 1st about choosing your book. I can't remember when my email arrived telling me to choose a book. I love vampires so just added it to my "to-read" list!